Franz Raab Cable Works Ltd.
cable assembly and spiralization (spiral cable production). In our factory in southern Germany, we manufacture a wide range of flexible cables and wires. We produce high quality cable solutions in our cable production (cable production). 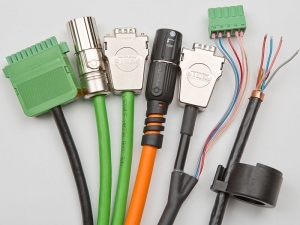 According to your specifications, we manufacture special cables and individual products as well as product variants for you. Modern, flexible and personal – this is how our customers experience Franz Raab Kabelwerk. We realize solutions for your cable constructions. Benefit from our high level of vertical integration and our expertise in cable production (cable production). At your Franz Raab cable factory you receive cables from German production. We process cables in our cable assembly. We offer economical solutions within the scope of an extensive program. From single-wire production to complete cable harnesses, all areas are covered. We assemble according to your wishes and use a variety of possible solutions, especially for your application. Our competent staff, our decades of experience as well as a modern machine park always ensure a compliant implementation of all customer requirements in the field of cable assembly. We supplement the classic cable assembly with our production area of ​​spiralization. Our production spectrum is wide-ranging. Specialized production facilities and decades of experience in the manufacture of spiral cables, spiral cables, spiral cables or helical cables, allow both a cost-optimized production of large series and flexible small batch production. Our cables are specially developed and optimized for the spiraling process. We spiral cables from our own production of other manufacturers and cables provided by the customer. The ends are finished and processed according to specifications. Thus, the spiraling of each cable is a fitting conclusion. How many eyes have a human?